In this video and article, you are going to learn about a reliable and high-speed network named "ControlNet". 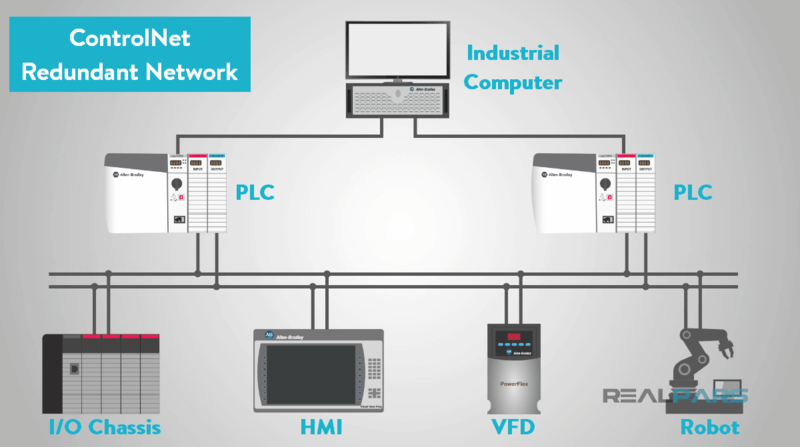 Need a solution to talk on your industrial network? 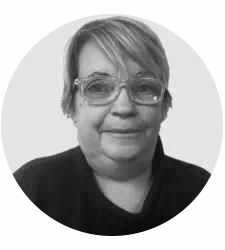 Let’s look at ControlNet. ControlNet is an open industrial network protocol and is managed by “Open DeviceNet Vendors Association” or ODVA. ControlNet is based on a “token-passing” bus control network and we will talk more about how this part works as we move along. 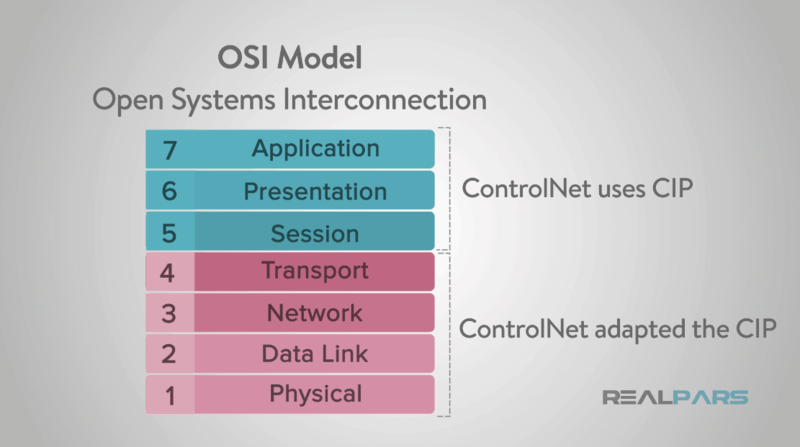 ControlNet utilizes the Common Industrial Protocol (CIP) for the upper layers of the Open Systems Interconnection or “OSI model” that has seven layers: Physical, data link, network, transport, session, presentation, and application. The designers of ControlNet adapted the CIP layers of transport, network, data link and physical to fit the needs of the ControlNet network. 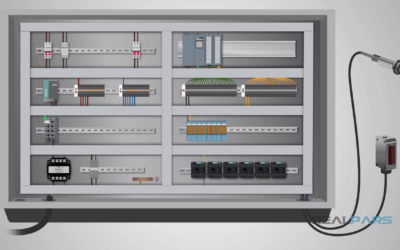 ControlNet was designed to provide reliable, high-speed control and I/O data transfer by using programming that sets the logic to specific timing over the network. 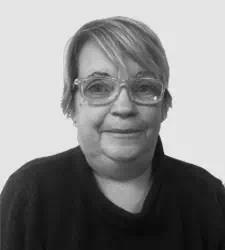 It also provides for critical messaging that does not rely on timing to be executed without interfering with the transport of control and I/O data. 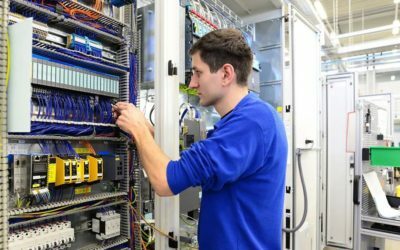 The types of devices that the ControlNet network talks to are Programmable Logic Controllers, I/O chassis, HMIs, personal computers, drives, and robots. It is typically used for redundant applications and/or applications that work best with scheduled communications. 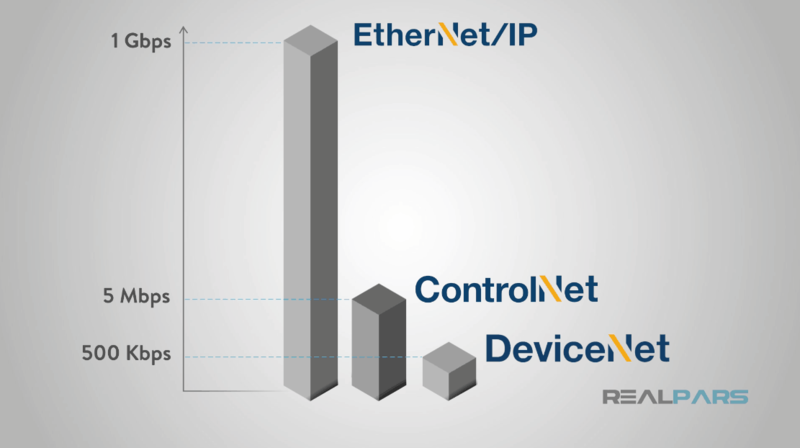 ControlNet has a data transfer rate of 5 Mbps and is in the mid-range of the three popular networks with EtherNet/IP ranging from 10 Mbps to 1 Gbps and DeviceNet ranging from 125 to 500 Kbps. Now let’s move on to the physical media of ControlNet. 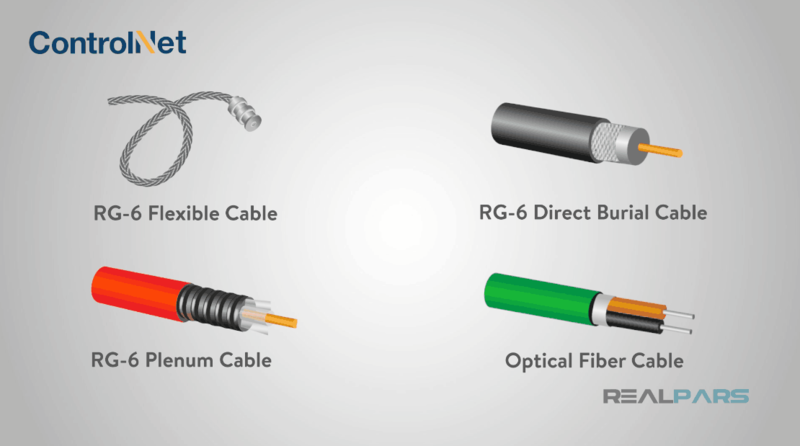 ControlNet cables are RG-6 coaxial cable types with BNC connectors. 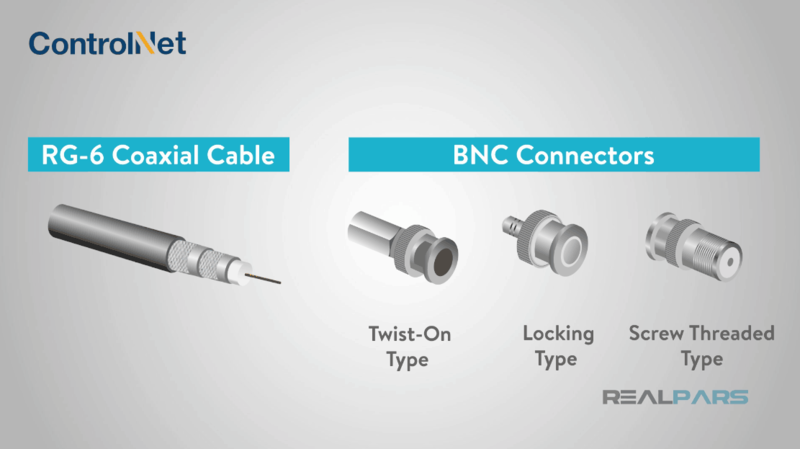 BNC connectors can either be a “twist-on” and “locking type” or a more rugged design that is a “screw threaded” type for more harsh environments. You can choose cable types such as “flexible”, “direct burial”, or “plenum” rated based on the application and environment that your network will be used in. There are some applications for ControlNet that require longer distances and may use optical fiber in the cabling. 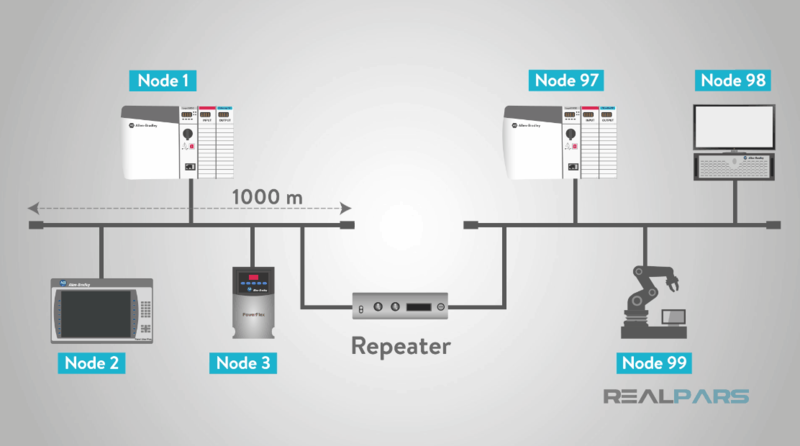 The maximum cable distance for ControlNet cables is 1000 meters unless a repeater is used. There can be a maximum of 5 repeaters (10 for redundant networks). ControlNet can support a maximum number of 99 nodes on the network and the repeaters do not use node numbers, therefore they don’t count as a part of this maximum number. 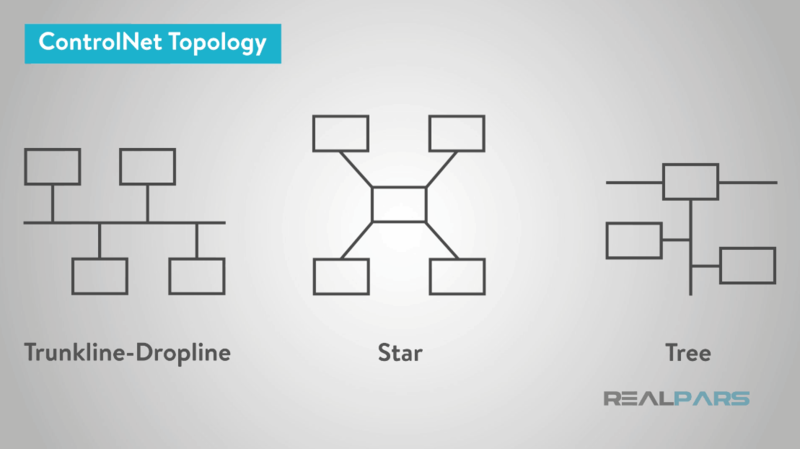 When you are designing the network, the topology options for ControlNet are trunkline-dropline, star or tree. 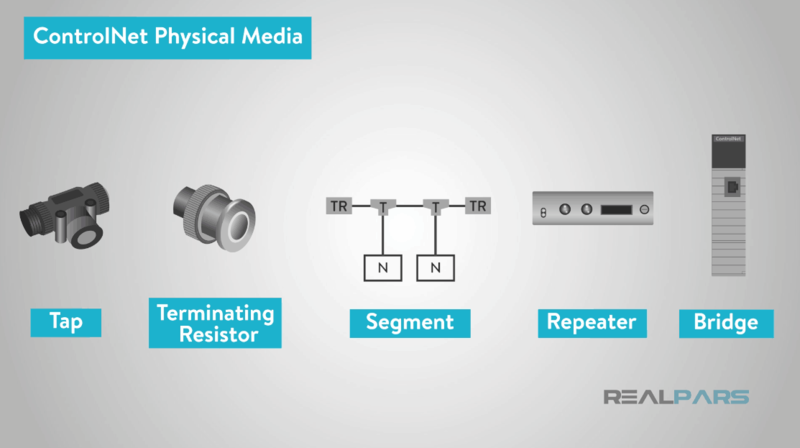 The other physical media of the ControlNet protocol are Taps, Terminating resistors, Segments, Repeaters, and Bridges. 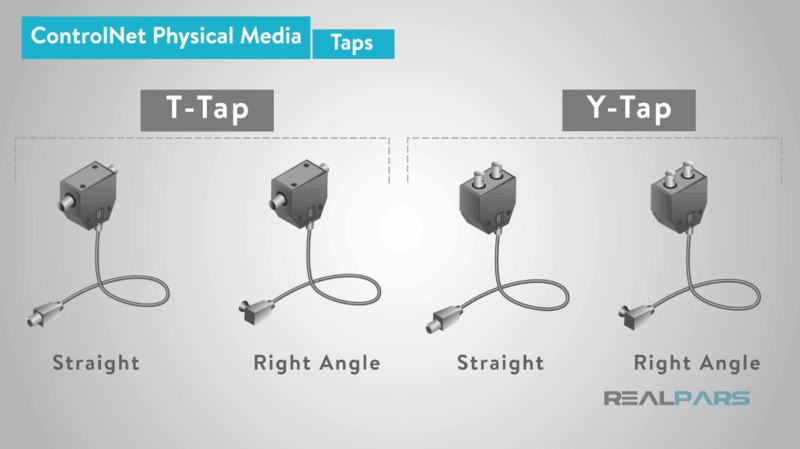 “Taps” are devices that allow you to connect nodes to the trunk via a drop cable. There are several types of taps, “T” or “Y”, straight and right angle that lets you have flexibility in configuring your ControlNet network. A 75-ohms “Terminating resistor” is required at each end of the trunk cable. Segments are collections of trunk cable and taps that have terminating resistors at each end. The length of each segment is dependent on how many devices are attached to the trunk. 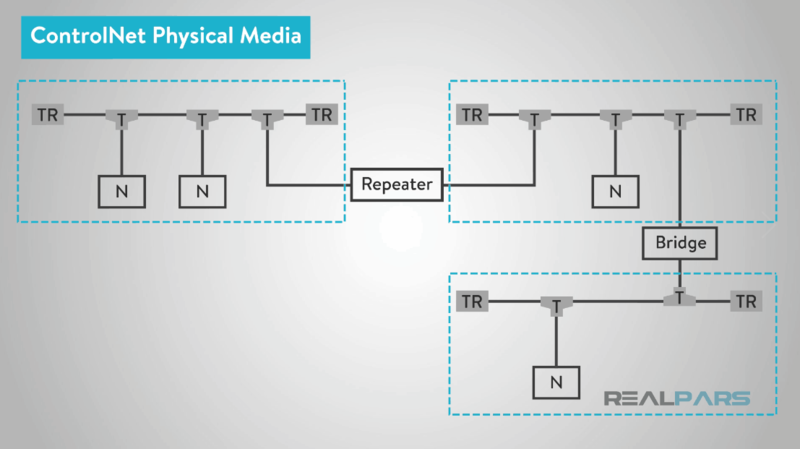 “Repeaters” can be used to lengthen the ControlNet networks by connecting them in between the segments. “Bridge” devices are communication connections between networks that only forward packets of network information but not any actual I/O. Now that you have seen the basics of ControlNet, let’s have a look to the other layers and get into the specifics of how it works. As I stated earlier, it is based on a “token-passing” bus control network which implements a logical “token ring” through a coaxial cable. In ControlNet, the nodes are assigned a MAC ID address from 1 to 99 and each node also knows the address of its predecessor and successor. 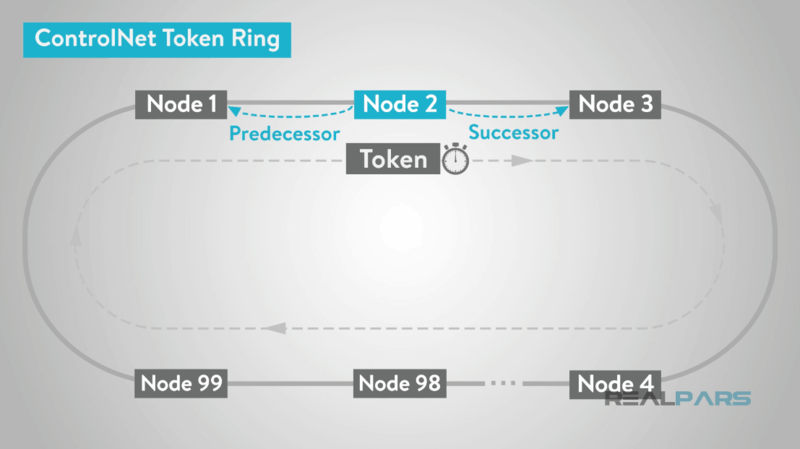 Each node has a scheduled time which is determined by a “token”. While the node has possession of the token, it transmits data frames until it reaches the end of its transfer or the token reaches its time limit. Then a new token is created and is passed on to the next logical successor.There may be nodes that do not have any data to transfer and, in this case, it just passes the token onto the next logical successor. The process is then repeated until all the nodes have cycled through the logical circle and then it begins again. 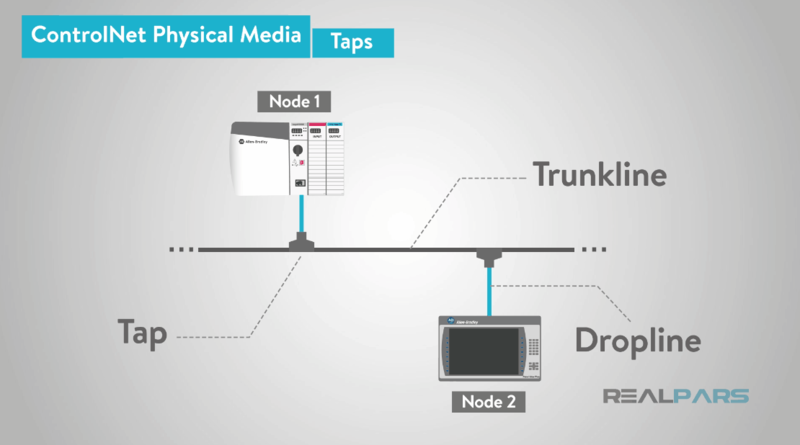 In ControlNet, only one node can transmit at a time which will prevent any collisions of data from happening. If a node stops transmitting and does not pass the token, the ControlNet protocol has provisions written into it that will regenerate the token and send it to the next logical successor. 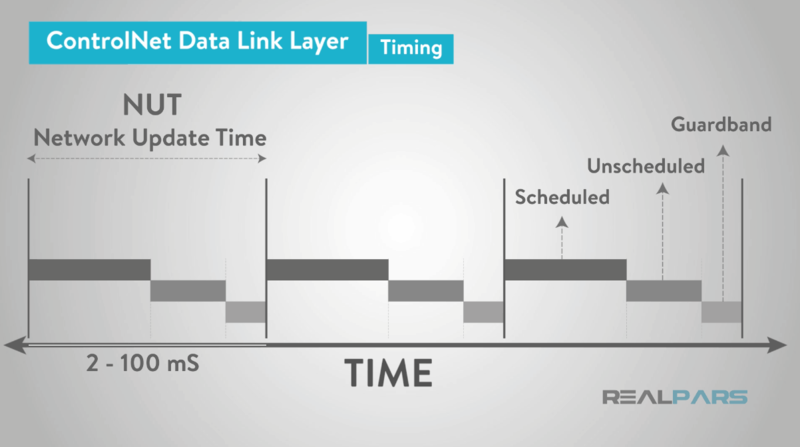 The data link layer is where the timing for ControlNet is done through an (Network Update Time) that is based on a fixed and repetitive time cycle. 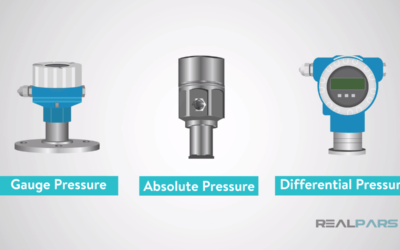 The NUT can be set to a duration from 2 to 100 milliseconds and have 3 major parts; “scheduled”, “unscheduled” and “guardband”. The nodes have their own timers that are synced with the NUT and the NUT divides the access time evenly between the nodes. “Unconnected” messaging is used when establishing connections or for “low priority messages” that do not happen frequently. “Connected” messaging uses settings in each node such as frequent explicit messages or “real-time I/O data”. ControlNet also uses “Requested Packet Intervals” or RPI to determine how often you want I/O data to be transmitted during the scheduled NUT. To sum it up, the NUT tells you how often the entire logical ring or network is updated and the RPI tells you how often the devices ask to transmit on the ControlNet network. Some of the advantages of a ControlNet network are high speed, it can be strictly scheduled and have deterministic data transfer, built-in support for fully redundant cables and very stable and reliable. The disadvantages are the cost of hardware can be higher and troubleshooting can be more difficult than other protocols. In my experience, if ControlNet is setup properly it can be a very stable and reliable and requires very little maintenance. Got a friend, client or colleague that may like to learn more about ControlNet? Share this article. Thank you so much for reading, watching and adding your voice to this automation conversation. Your thoughtfulness and energy make this one of the most supportive and encouraging communities in the world!